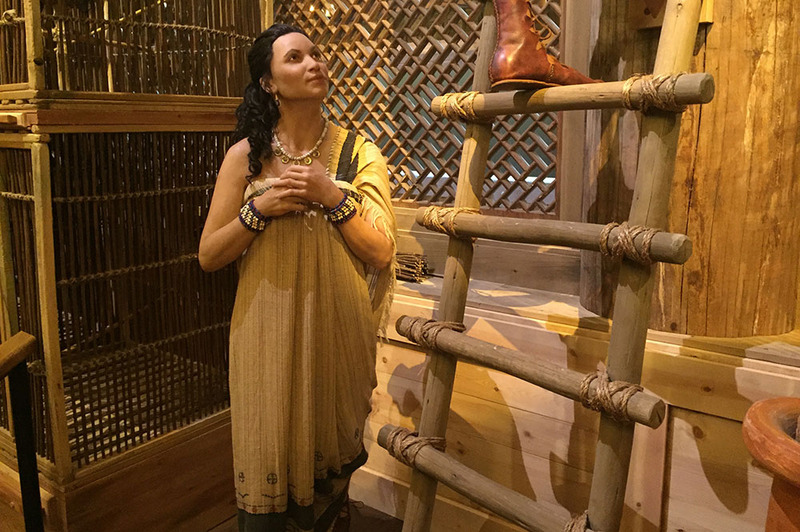 Throughout the life-size Noah’s ark at the Ark Encounter, you will see several instances where our designers needed to use artistic license when creating the exhibits, including the Living Quarters. 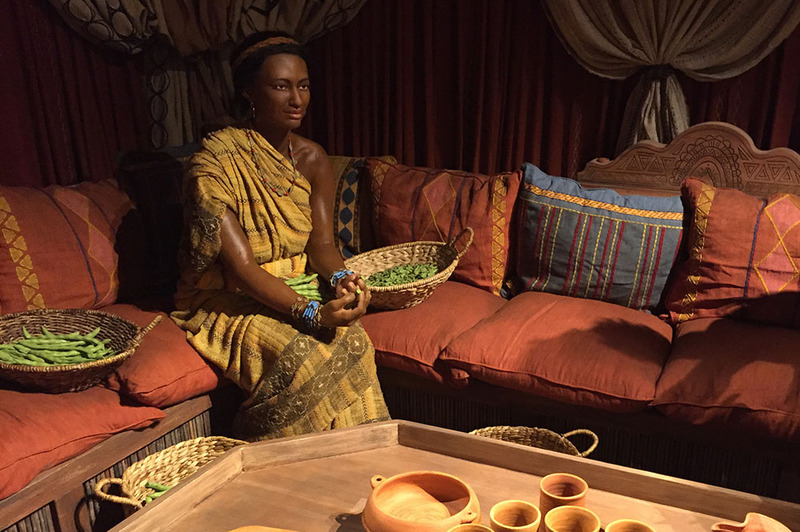 As you explore this area on deck three, you’ll meet Noah and his family. A few weeks ago, we looked at the stories our content team created for Noah and his three sons. Now let’s take a look at the backstories created for their wives. Throughout history, many have wondered about the name of Noah’s wife. She is called Emzara in the ancient Jewish writing known as the Book of Jubilees (not found in the Bible). This name probably means “ancestor of Sarah,” and it connects her to Abraham’s wife, Sarah. Emzara endured centuries of childlessness before the Lord blessed her with three sons. Faithful to God and her husband, she has made family time a priority and enjoys relaxing with Noah when time permits. An animal lover from her youth, Emzara knows more about the animals than anyone else, and her expertise is on display in caring for them. Being artistic, Rayneh works closely with Emzara, sketching the ark’s animals while studying and recording their habits. 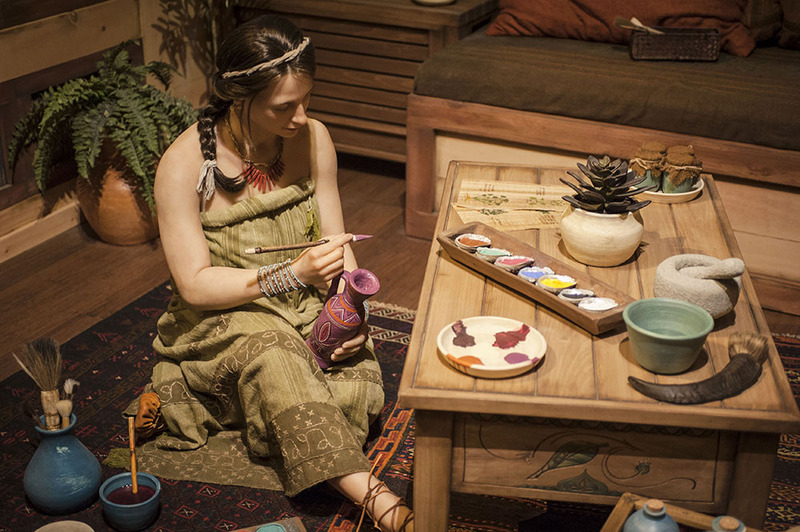 In her limited free time, she enjoys making crafts and adding some flair to her family’s surroundings, such as painting intricate designs on pottery. Rescued by Noah from a life-threatening situation when she was a little girl, Rayneh grew up around his family. She helped Japheth with his farming responsibilities, and the two eventually became husband and wife. She put her seamstress skills to good use during the ark’s construction, creating many of the clothes and tapestries seen on board. Ar’yel was raised in a remote forest village among people who worshipped false gods. She came to believe in the true God after hearing Noah speak to her people. Longing to know more about the Creator, she soon joined Noah’s family in building the ark. Quick to take part in conversations with the rest of the family, Ar’yel loves the profound discussions about God that she has with Shem. She also enjoys reading accounts of what the rest of the world was like before it became filled with wickedness, and she prays that it will be like that again after the flood. Kezia grew up around Noah’s family as the ark was being constructed, and she trusted in the Creator from her youth. When her parents left to pursue other interests, Kezia decided to remain with Noah’s family. Similar to her husband, Kezia is a hard worker. She is the medical expert of the group, having learned the craft from her mother. She uses her skills to treat sick or wounded family members or animals. In fact, Ham and Kezia grew very close as she cared for the severe wounds he received from an animal attack, and they married shortly after he recovered. Speaking of that animal attack, if you look closely at Ham in the ark, you can see a scar on the right side of his face. This is most noticeable on deck two where guests can get a pretty good glimpse of his face. Also, in the study on deck two, there is a note written by Ham on the scroll showing the cat-like creature called Thylacosmilus. Since this is the kind of creature that injured him, Ham warned the other family members to watch out for its sharp claws. Interested in reading more of the backstories for the whole family? Add Noah: The Remnant Trilogy to your personal library today! 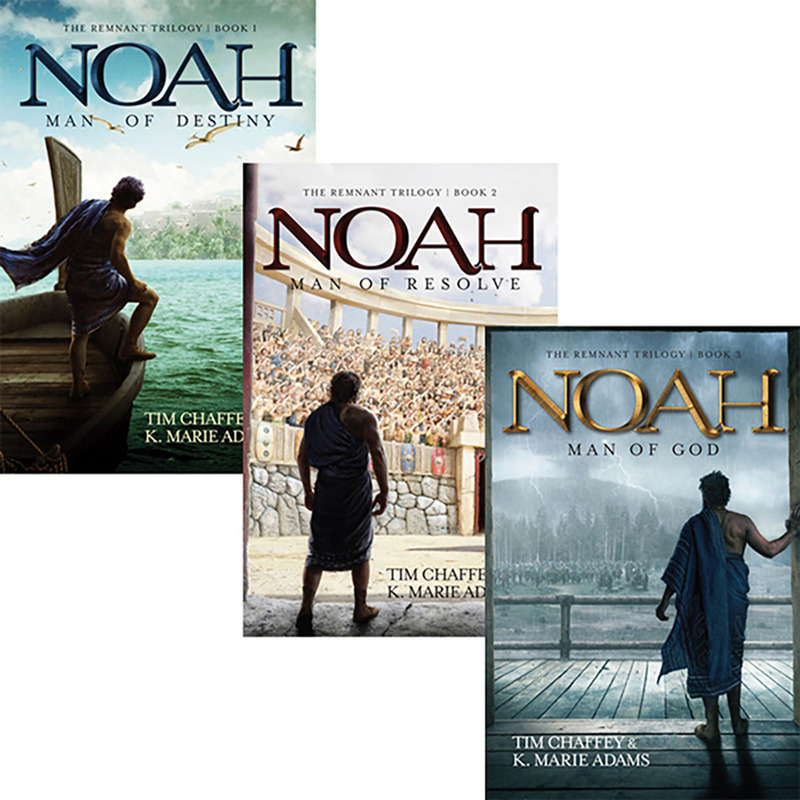 This three-book series, which includes Noah: Man of Destiny , Noah: Man of Resolve , and Noah: Man of God , is a historical fiction trilogy tracing the backstory of Noah and life before the flood. Witness the struggle of a righteous man’s battle against a culture that thought of evil continually, and explore what it may have been like for a righteous man to relate to God before the Bible, as we know it, was written. 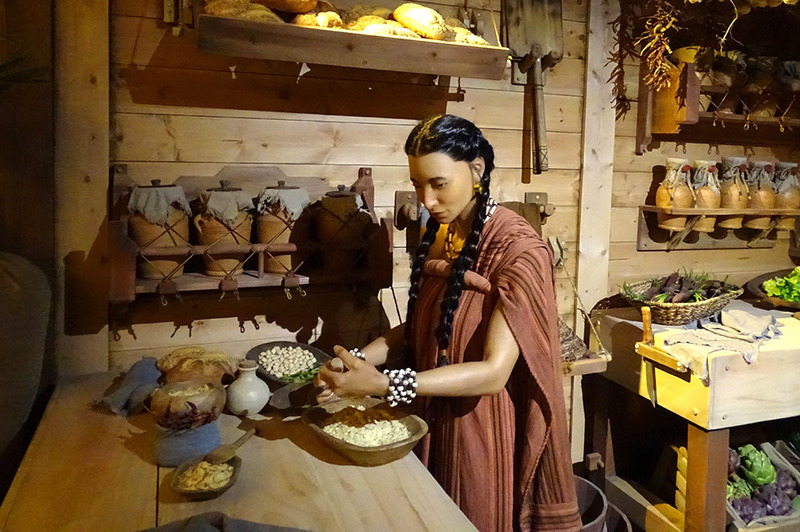 You will also gain all sorts of insight into some of the fun and interesting details about the exhibits at the Ark Encounter. You can pick up Noah: The Remnant Trilogy from the gift shop at the Ark Encounter or from the online store of our parent ministry, Answers in Genesis. 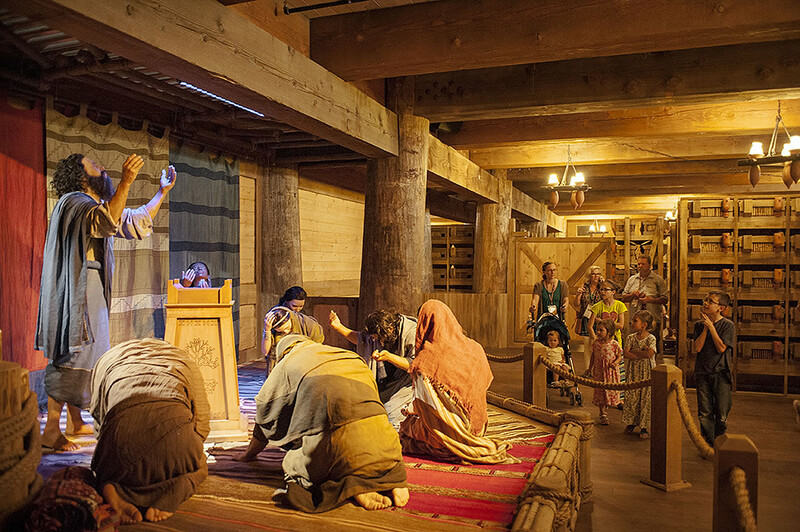 Start planning your trip to the Ark Encounter today to meet Noah and his family! Be sure to share your favorite family photos with us on Facebook, Instagram, and Twitter using #arkencounter.